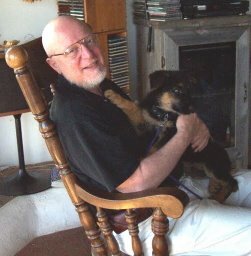 Gerald Weinberg's Secrets of Writing and Consulting: Why would anyone want to live past about 65? Why would anyone want to live past about 65? We were asked, "Why would anyone want to live past about 65? Seriously, after 25 years learning and 40 years working, why would you want to live another 5-10 years when you're too old to do anything interesting?" To the author of this question: many of these answers you received have been hard on you, unfairly, I think. I interpret your question as a genuine puzzle, not a judgment on older people. My answer is this: Some people want to live past 65. Many do not. I’m 84, myself, and I’m one of those who wanted to live past 65. I think that’s because I enjoyed living before 65, so I looked forward to continuing the enjoyment. It’s true I can’t do some of the things I did when I was younger, but on the other hand, there are things I can do now that were totally beyond my ability at a younger age. Just yesterday, I experienced two examples of how being 84 is different than, say, 44. Dani and I drove past a neighbor's house and saw 6 cars parked in front. "Wow," she said. "That's a lot of cars." For me, though, it wasn't a lot of cars because when I was 15, I used to shuffle cars around for my father's auto painting business. At one time, I was responsible for more than 40 cars, so 6 cars doesn't impress me, even to this day. In other words, my life experiences have given me a calmer perspective today. The second instance: A programmer wrote to me with a problem I was able to solve for him by using an example from my own programming about 50 years ago. First of all, I reassured him that his problem was solvable, which led him out of a state of panic into a state where he could listen to solution ideas. I would not have been able to do that forty years ago. And, by the way, I've always managed my finances carefully, so that past 65, I no longer worry about how to survive until the next paycheck. And since there is no paycheck, I don't have to do the things some ignorant manager orders me to do. Being my own boss is a pleasure you may not yet have experienced. It's definitely something to look forward to. Yes, I can no longer run triathalons or experience twenty-mile hikes in the mountains, but I experience similar examples of helping people every day, giving me great pleasure. I believe I’m wiser, more centered, and far more capable of helping others be more productive and enjoy their lives (which gives me great pleasure). When you’re older, you may not be interested in the same things that interested you in youth, but if you know how to discover new things, you’ll be happy you didn’t exit this world at 64.